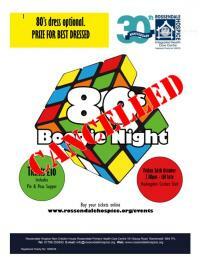 Clarke & Clarke donated £1000 from their annual staff auction. Home furnishings distributor, Clarke & Clarke has raised £1,000 for the Hospice with their annual staff auction. The auction, which took place in December, sold pieces of furniture which had been used at trade shows throughout the year. 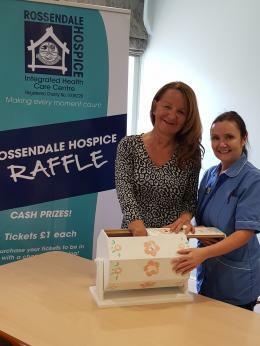 The Haslingden based company, which has over 80 employees, decided to donate the money raised to a local charity and Rossendale Hospice was their charity of choice. We are very grateful to the staff at Clarke & Clarke for choosing to support the Hospice. Keenans Estate Agents generously sponsor the cost of producing 10,000 penny pinching boxes, saving the Hospice a sizeable £1,650. Hayden Solicitors held a ‘Make Your Will in May’ during which the company generously donated 100% of their fee to Rossendale Hospice, raising £1380. Waterfoot based company Arthouse holding our own version of the Great British Bake Off to raise money funds for their nominated charity Rossendale Hospice.